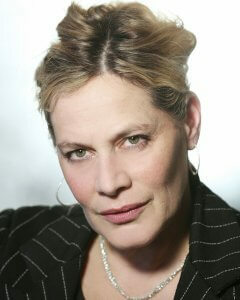 Deborah Levy has been described as ‘the master of the contemporary psychological novel’ (Darian Leader). Her books include: the Man Booker longlisted Hot Milk, the Man Booker shortlisted Swimming Home, Beautiful Mutants, Swallowing Geography, The Unloved and Billy and Girl. Her 2012 short story collection, Black Vodka, was short listed for The Frank O’Connor Award. Her 2014 long form essay, Things I Don’t Want To Know, is a response to George Orwell’s essay Why I Write and Virginia Woolf’s A Room of One’s Own. For BBC Radio 4, Deborah wrote two acclaimed dramatisations of Freud’s case studies, ‘Dora’ and ‘The Wolfman’. She was AHRB Fellow at the Royal College of Art 2006-9 and Visiting Professor in Writing at Falmouth University 2012-15.